Summary: One cause of our dysfunctional foreign policy is that we’ve lost our past, and substituted myth. About the great American expansion (stealing land has a high return on investment). About the Civil War. And about the Vietnam War, whose grim tale has become lost in myths told about the past to support policies for today. History can act as an antidote. Today we look at one good place to begin, a book looking at the starting point of our adventure in Vietnam — and incident that foreshadows so much that followed. Martin Windrow alternates his account of French planning and execution with the best of the limited information available on the Viet Minh, and provides a very evenhanded narrative. Superior force and good plans can result in bad outcomes. By Martin Windrow. Reviewed by Christopher S. Owens (Brigadier General, USMC). Originally published in the Marine Corps Gazette of November 2005. Republished here with their generous permission. 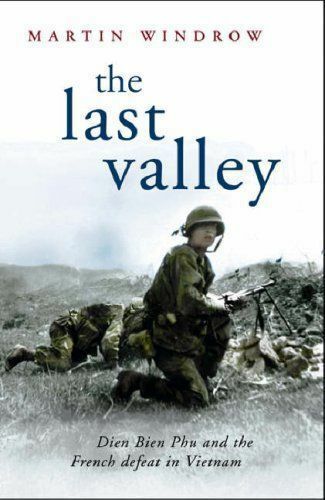 Several books have appeared over the past 40 years covering the battle at Dien Bien Phu, and at first glance, Martin Windrow’s The Last Valley would seem redundant given the status accorded to those by Bernard Fall and Jules Roy. Windrow admits his book leans heavily on those works and others for reference. What sets The Last Valley apart is its comprehensive analysis of the battle, its operational and strategic context, and its avoidance of the fatalistic, retrospective criticism of the French that pervades most of its predecessors. Windrow alternates his account of French planning and execution with the best of the limited information available on the Viet Minh, and provides a very evenhanded narrative. While the author accurately points out flawed French assumptions, he avoids the tendency of some authors to adulate Vo Nguyen Giap, and instead analyzes the strengths and shortcomings of plans and decisions on both sides. For instance, many authors dwell on Giap’s genius in digging in his 105mm howitzers on the forward slope of the hills surrounding Dien Bien Phu. Windrow notes that despite their near invulnerability to French air and counterbattery fire and the damage they caused, the Viet Minh could not adjust fires during the fight; each tube could only target a very limited area of the complex. Windrow emphasizes how the Viet Minh failed, over the course of the 6-week siege, to destroy the French artillery sited in open pits. In truth, it was often the more mobile, and more conventionally employed, 120mm mortars that did the bulk of the destruction. Similar, balanced coverage is given to the Viet Minh assaults on French strongpoints Beatrice and Gabrielle, the effect that these costly victories had on Viet Minh leadership and morale, the subsequent operational pause, and the altered tactics used for the final assaults. On the other hand, Windrow analyzes the calculations of the French and reveals the unrealistic expectations with respect to the capabilities of French aviation units to support the Dien Bien Phu garrison with fires and sustainment. As the battle turned against the French, the dilemma became clear that while more troops were needed to hold back the Viet Minh, each increase in troop strength required a commensurate increase in logistical support. As airdrops became restricted to hours of darkness, personnel drops competed for the shrinking airspace with cargo drops and illumination missions. Ultimately, it was the inability of the French to provide adequate troops, sustainment, and offensive air support that doomed Operation CASTOR. Windrow also presents a fair assessment of the planning process that made Operation CASTOR seem like a potential winner to GEN Henri Navarre. This is a key difference between The Last Valley and earlier narratives: Windrow allows the readers to see Navarre and his subordinate René Cogny as experienced combat leaders who made logical decisions based on flawed, but understandable, assumptions. They were not corrupt, nor were they oblivious to combat conditions in Vietnam or insensitive to the suffering of their troops. In fact, they relied on a precedent to guide their planning: during the battle of Na San in 1952, the French used the same general concept later employed at Dien Bien Phu, and it proved successful–first in drawing the Viet Minh into a set-piece battle and then in defeating them. What Navarre did not appreciate, however, was that the greater distance from Hanoi, as well as the size of the force employed at Dien Bien Phu, made the critical difference in the ability of French airmen to support Operation CASTOR. The most pertinent issue regarding Operation CASTOR may have been its original purpose: to provide a base from which to mount strong offensive patrols to interdict Viet Minh operations in the highland T’ai country and in Laos. These patrols were also to provide the necessary protection to the garrison. As a consequence, the French strongpoints were constructed only to withstand limited attacks, not an all-out siege. 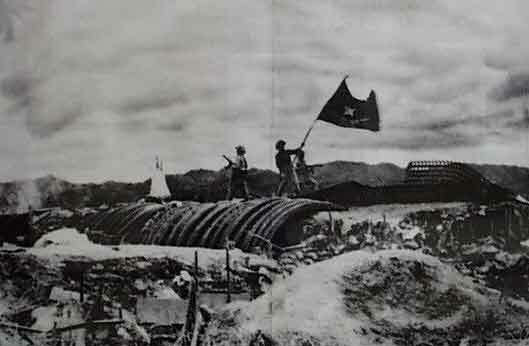 Once the Viet Minh made French offensive patrolling too costly and the situation became clear, neither adequate time nor appropriate construction materials were available to construct a suitable fortress. Windrow provides sufficient detail to allow the reader a glimpse of the psychological impact on both sides of siege warfare, adverse weather, privation, false hope, and defeats both large and small. The tenacity of both the multi-ethnic French force and the Viet Minh troops and their supporting laborers is highlighted; Windrow may be the only Western author to thoroughly delve into the system of impressed civilian labor to support Viet Minh divisions, emphasizing both the accomplishments and sacrifice it entailed. As the nature of the siege became apparent, the French not unreasonably looked to their past at Verdun and with a Gallic shrug declared that the Viet Minh, like the Germans in 1916, would pile their dead in front of the French fortress. The author points out how this sentiment was borne out in fact. While accurate Viet Minh casualty figures will probably never be available, the cost to the attackers was enormous. Giap rushed troops into battle with as little as 3 weeks in uniform, and much of that time was spent traveling to the battle from across Vietnam. Even in the last week before Dien Bien Phu fell, some Viet Minh troops deserted into the garrison, impressing the defenders that perhaps the end was near for the Viet Minh. Discussions with French veterans of Dien Bien Phu confirm the defenders’ attitude until the very last days that victory was not only possible but likely. In The Last Valley, the reader is left to decide how close the French came to breaking the siege by raising the cost too high for the Viet Minh to bear, much as American Marines did against the North Vietnamese Army at Khe Sanh 14 years later. If a reader could select only one book on Bien Bien Phu, Martin Windrow’s The Last Valley would be an excellent choice. Neither a simple exposure of folly nor a blow-by-blow narrative, Windrow’s analysis provides a balanced battle study that offers relevant lessons to the student of war, and it is a fair tribute to the courage and sacrifice of soldiers on both sides of the wire at Dien Bien Phu. Martin Windrow is series editor at Osprey and an authority on the post-war French army, particularly the Foreign Legion. He is the author of the very successful Men-at-Arms 300: French Foreign Legion since 1945, and Men-at-Arms 322: The French War Indochina War 1946-54, and the critically acclaimed The Last Valley: Dien Bien Phu and the French Defeat in Vietnam (2004). Martin Windrow was born in 1944 and educated at Wellington College. Since the 1970s he has worked in book publishing as a commissioning and art editor specializing in military and aviation history, and is currently a freelance editor and writer working from his home in Sussex, England. He is an Associate of the Royal Historical Society and of the Foreign Legion Association of Great Britain. 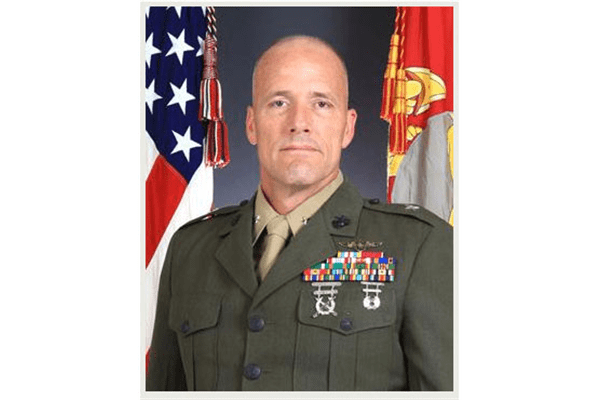 Christopher S. Owens (Brigadier General, USMC) is currently the Deputy Commanding General of II Marine Expeditionary Force. See his profile here. Previous Post Ask the mineshaft: what’s gone wrong with America? The decay spreads faster than I imagined possible. We come back to the same old problem. Modern nationalism versus the foreign occupier. The French could never hold on to Indo China. Colonialism was over and even if the French had held Dien Bien Phu there would have been another fiasco somewhere else and Algeria would soon beckon. What you’re saying is probably true (modern nationalism was not fully understood by either the guerrillas or the foreign occupiers at that time), but the French didn’t understand what you’re saying in 1954. Wars are usually won before they are started. One of the combatants will have made too many fatal errors in preparing for the conflict (both sides have probably made fatal errors, it’s just that one side has made too many errors to recover from), BUT IT IS NOT EVIDENT TO EITHER SIDE THAT THIS HAS OCCURRED WHEN THE WAR STARTS. Both sides expect victory and fight it out and myths such as the stabbed-in-the-back theory arise to explain the losers defeat. These myths cause considerable and unnecessary agony for the loser and tend to give the victor too much confidence, setting the scene for the next conflict. It takes great wisdom or great exhaustion to avoid this pattern. Do not judge the French decisions by what they couldn’t know at the time. What Navarre did not appreciate, however, was that the greater distance from Hanoi, as well as the size of the force employed at Dien Bien Phu, made the critical difference in the ability of French airmen to support Operation CASTOR. I read the book, too, about 2 months ago so it’s fresh in my mind. One of the things I found fascinating about the book was the detail it exposed regarding the tradeoffs the French experienced in air supply. As the NVA were able to bring the runway under fire, it was no longer practical to land – which exacerbated French logistical problems with wounded that could no longer be evacuated. That made the trip to DBP a one-way voyage. And, as the perimeter kept shrinking, the inaccuracy of air-dropping goods started to become a trade-off against the amount of NVA AA fire – pilots who went in “low and slow” were at greater and greater risk. Airmobile operations are just great when the planes and helicopters are working and the weather is good and the enemy hasn’t got AA capable of threatening the expensive and irreplaceable aircraft. The role of US-provided Stinger Missiles in forcing the USSR out of Afghanistan, or the discovery that Black Hawk Helicopters can be shot down with RPGs – none of these should have been surprises. The summary states that our foreign policy is “dysfunctional” and that “History can act as an antidote.” How does Windrow’s work help counter myths that support today’s policies? By that I meant that our foreign policy decisively broke during the Vietnam War (with the large cracks ocurring during the “who lost China” madness). So understanding our Vietnam adventure illuminates the causes and dynamics of today’s dysfunctionality. To understand Vietnam one must understand what happened to the French — and why we took over their war and repeated their mistakes. So Windrow’s book is a good place to begin.